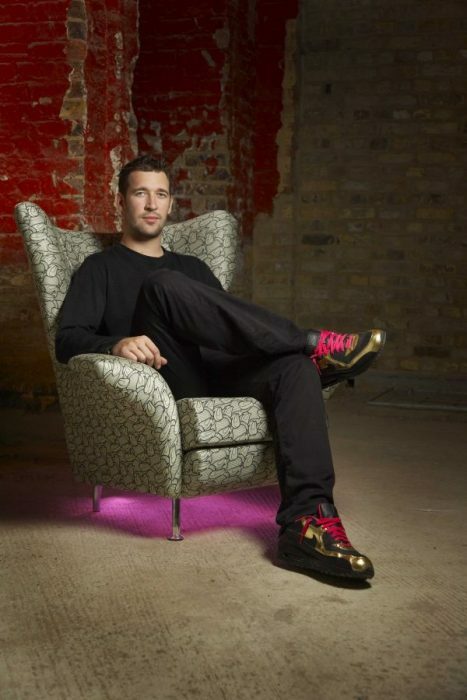 Sharing a passion for the world of festishism and its relationship with everyday objects Ben Rousseau and INSA put heads together again to create another piece that uses INSA’s signature print alongside Rousseau’s fascination for using lighting in furniture design. 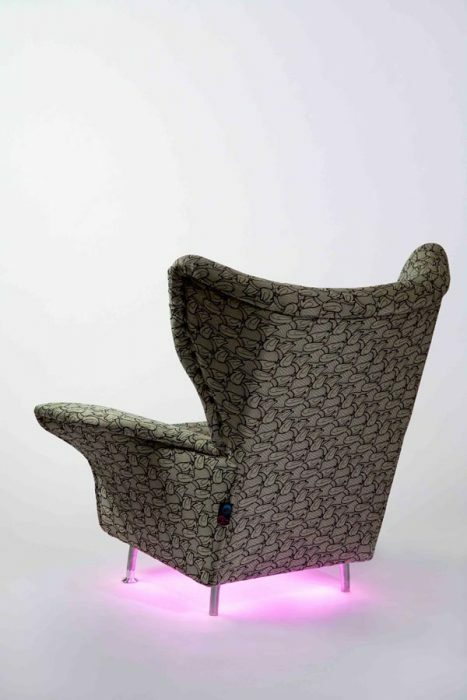 Using a special roll of INSA print fabric produced by the infamous hat brand Kangol, the chair has matching pink LED lighting wash over the floor below the chair. A notable matching detail is when you sit in the chair and two folds above the shoulders reveal the pink silk inners of the chair, the same as the inside of the hat and festish inspired detail. Created as an edition of 1.